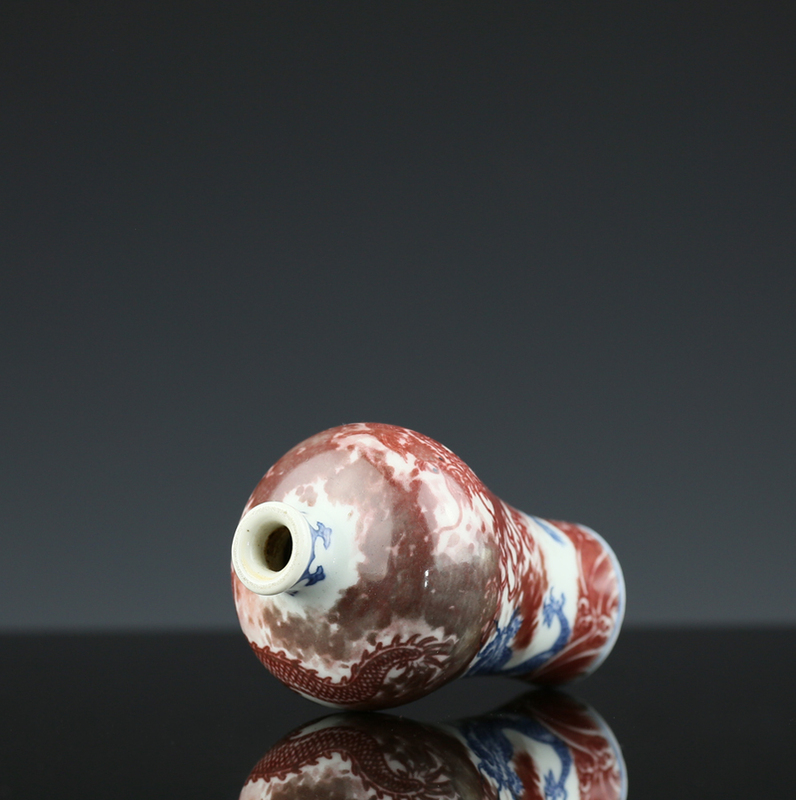 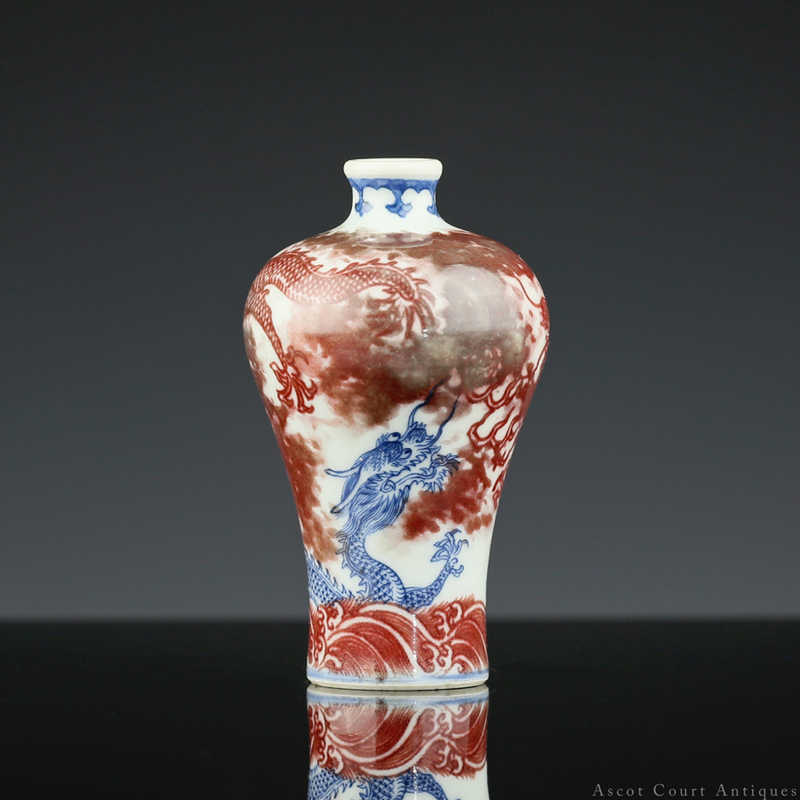 An interesting and unusual antique Chinese snuff bottle or miniature vase, powerfully painted with two five-clawed dragons writhing amongst clouds and rolling ocean waves, well formed in the classic meiping shape with a defined lip and pleasingly broad shoulders. 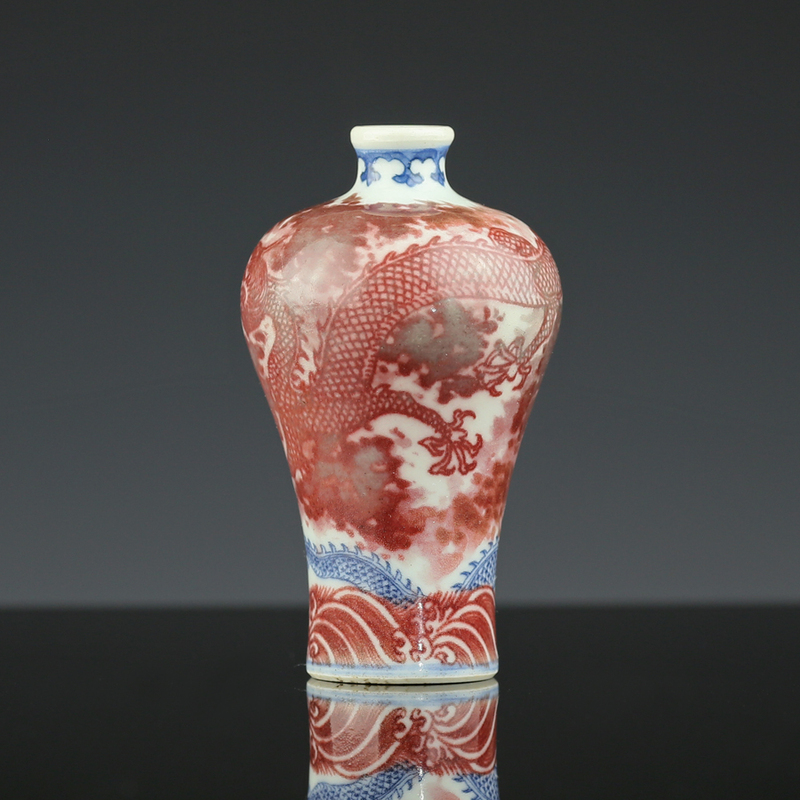 The combination of underglaze copper red and cobalt blue makes for a bold contrast, and would have been rather hard to fire (copper red requires excellent control of firing temperatures, or the final coloring turns too pale or gray or dark). 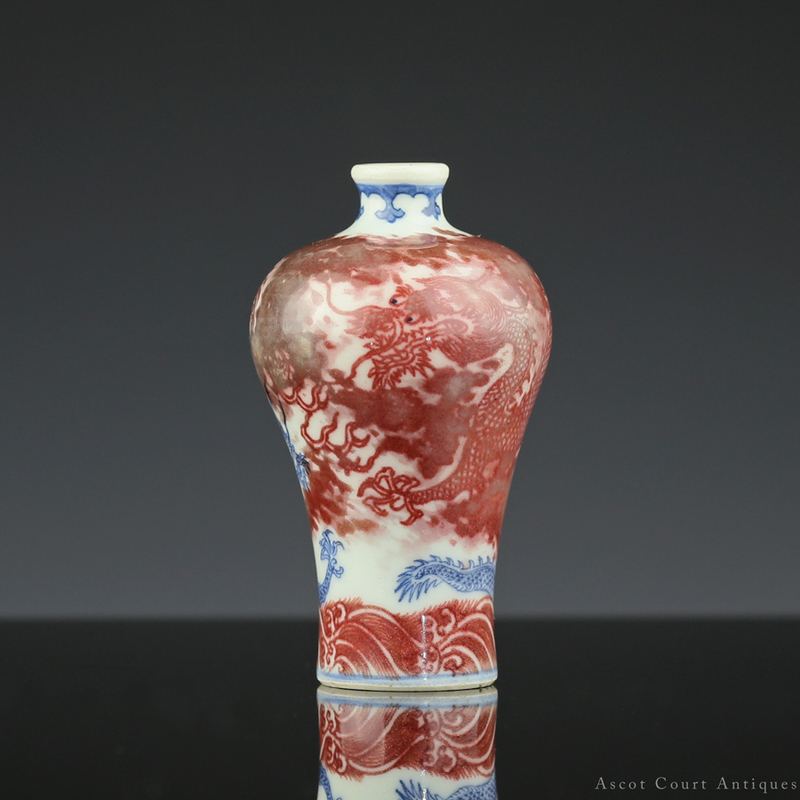 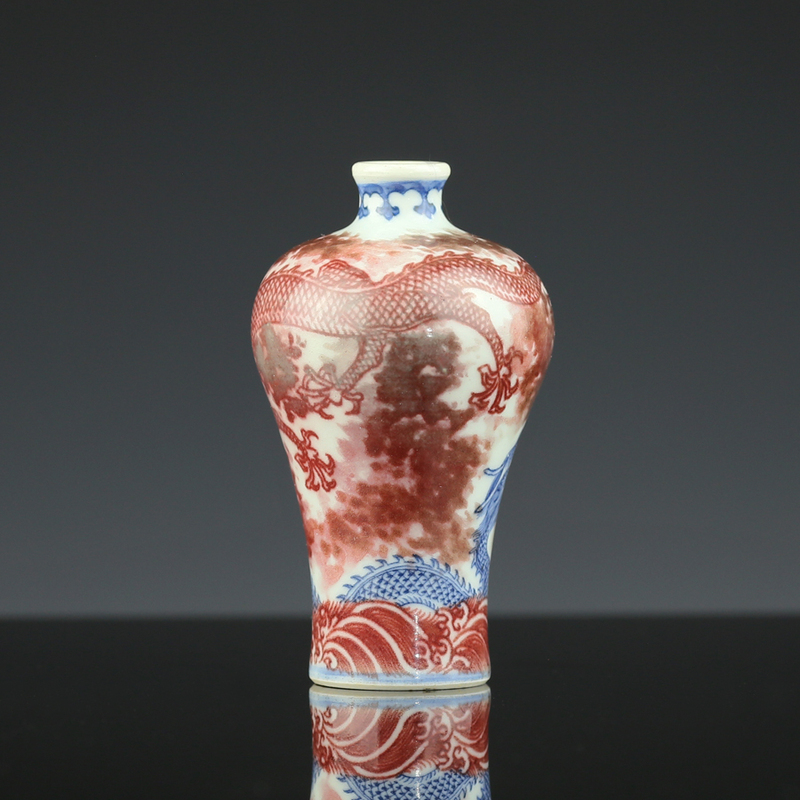 The painting workmanship is especially fine, giving the miniature size of the vase. 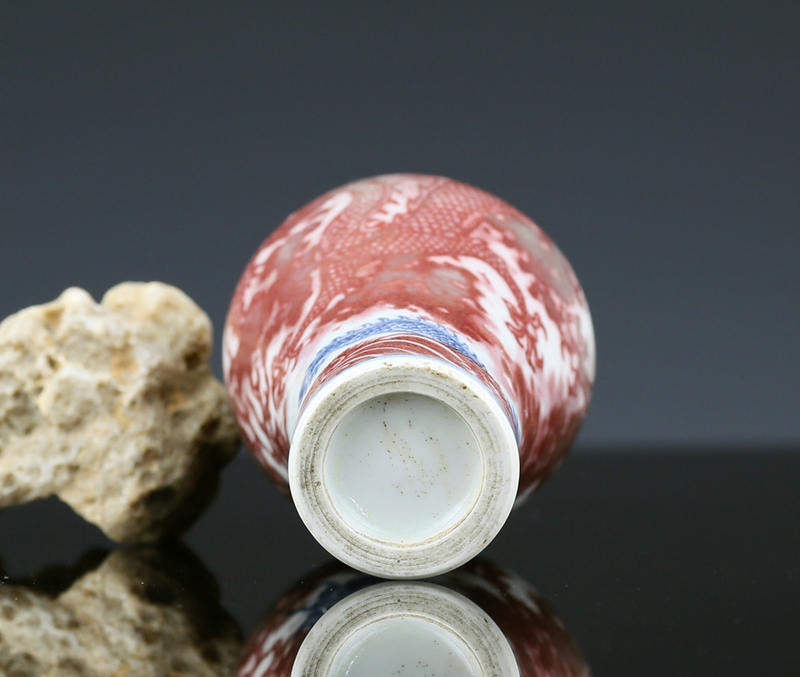 The grayish-yellow porcelain paste, as well as the exposed base with the defined circular grooves, is quite typically seen on Jingdezhen porcelain made in the last decades of the 19th century.